$24.95 In stock - low quantity. Order in the next 13 hours, 46 minutes and it will go out today! In stock - low quantity. Order in the next 13 hours, 46 minutes and it will go out today! What a charming update this is to a classic trick! Although it may look "proppy" for an adult performer, it's actually a terrific interlude for parlor. 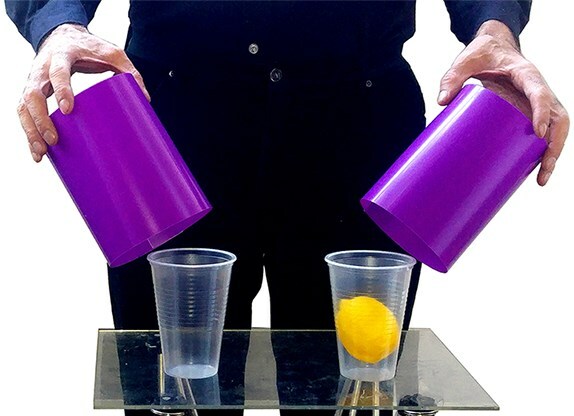 The magician shows two transparent plastic tumblers, a lemon and two plastic tubes. 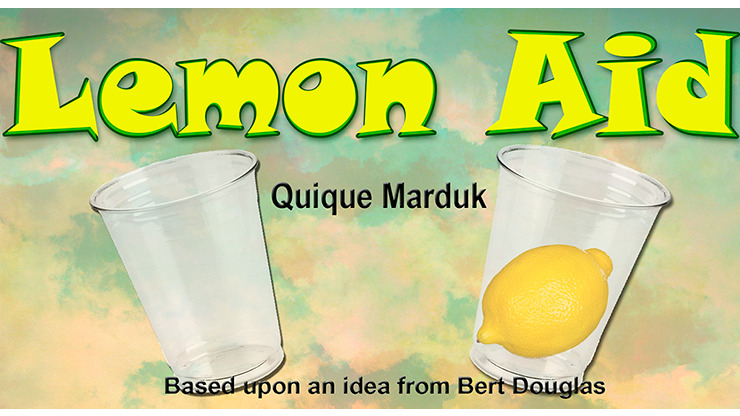 He places the tumblers in full view on the table, one aside the other, and introduces the lemon into one of them. He covers the tumblers with the tubes, announcing that the lemon will jump from one tumbler to the other. He makes a magical gesture, and looks at the glasses from above the tubes. He seems shocked, and makes the magical gesture once more... but nothing seems to happen. So, he uncovers the tumbler with the lemon... He looks confused, so he picks up the lemon, finding that it is only the empty skin. He uncovers the other tumbler and in it is the juice of the lemon. Finally, he pours the juice into the other tumbler, showing it is actually lemon juice. You receive 2 plastic tumblers, 2 plastic tubes, the special PVC realistic lemon and gimmick.